Genée International Ballet Competition is heading to Lisbon, Portugal this year for the first time in the competition’s 86 year history. In addition to competing on a global stage, participants will work closely with a leading choreographer, playing a vital role in the creation of a new piece. This year’s Commissioned Choreographer, César Augusto Moniz, will create two variations specifically for the Genée, to be premiered at the competition final. Lisbon-born César gained recognition as a dancer, choreographer, and teacher through his extensive international work with Ballet Gulbenkian, Companhia Nacional de Bailado, Lisbon Dance Company, Compañia Nacional de Danza of Madrid, and Dance School of the National Conservatoire. He is also Artistic Director of Kamusuna Ballet Company, which he formed in 2006. César’s television work includes appearing as a judge on the Portuguese ‘So You Think You Can Dance’ and ‘Let’s Dance’. A third judge will be announced shortly. For this year’s competition, the RAD will be working in partnership with Companhia Nacional de Bailado. Candidates will be able to train in the same studios used by the company and dancers from CNB will perform at the Final on 16 September. The Genée attracts the finest RAD trained dancers from around the world, with many going on to perform in the world’s best companies. In-keeping with that tradition, Valentino Zucchetti, former Genée gold medallist (Hong Kong, 2006) and First Soloist with The Royal Ballet, and Portugal-native Brígida Pereira Neves, dancer with Tiroler Landestheater and Genée alumni (Birmingham, 2003), have been named Ambassadors for this year’s competition. Since its inception in 1931, when the Adeline Genée Gold Medal was awarded to Felicity Garratt, the competition has taken place almost every year. 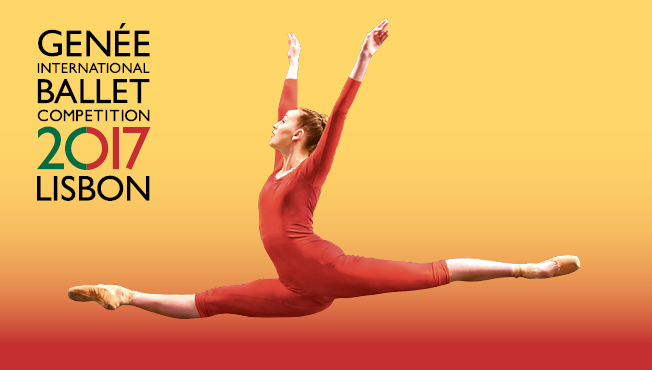 Tickets to the Semi-Finals and Final for Genée 2017 are on sale now.